Friends, we have such a treat for you today! 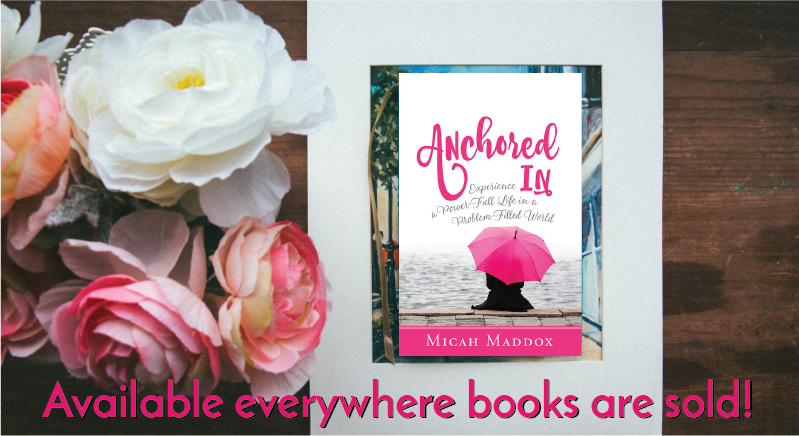 It’s not often that we have the opportunity to share with you an excerpt from a book that was actually JUST released this week so we are especially thrilled to be welcoming our friend Micah Maddox whose book Anchored In is in stores now! There are moments in life that are so devastating there are no words to utter. You see people surrounding you and their lips are moving, but the words cannot be absorbed due to the burden that consumes your mind. You try to move forward with a normal routine, but the world seems to move in slow motion as problems persist, paralyzing your best efforts to press on. Life can hurt deeply. It can scar the tender parts of your heart and make you feel like your life is completely drenched in a sea of problems that cannot be remedied. No one ever plans it this way, but there are people all around us holding shattered pieces of life, wanting desperately to put the pieces together again. We convince ourselves that if our problems would go away, we could get on with our lives and live a powerful life of fulfillment. But problems continue and we can’t seem to get out of the cycle of each current pulling us deeper and deeper into the problems we would rather avoid. Sometimes it feels as if the anchor of our soul has been ripped from the deepest depth of our heart and our ship of life is lost at sea. The waters rise and the trials, troubles, and struggles take center stage filling us with a void of power. What is a desperate, hurting soul to do when life is filled to the brim with problems? Cling to the power and presence of God. If you know Him, He’s already with you. Right there, in the midst of the unpredictable, He knows every single detail of your life. He is an anchor that does not budge. When everything in life is in disarray, God’s presence is constant, firm, secure. Our deepest moments of life are often the ones that draw us into the presence of God more authentically than ever before, or they push us so far away that we cannot see, hear, or remember what it feels like to be close to Him. When it seems like God is far away and the water of life continues to billow overhead, it’s normal to try to achieve nearness to God by doing more for Him or by striving to ignite the inner strength we know we hold. The problem is that power is not something we can muster up when we think we need a fresh dose of the Holy Spirit. It goes much deeper than a crisis prayer at the moment of an emergency. We must know that God’s Power is present every moment of our life. The Holy Spirit does not blow in like the north wind on a fall day shaking every leaf of our lives to the ground wondering if we will be able to withstand the storm. He indwells every believer at the moment we choose to accept Jesus Christ into our lives, and consistently remains present and accessible no matter what our lives look or feel like. When the wind of life rushes in and we are shaken, we have what it takes within our own bodies to stand firm, be grounded, anchored, and tethered to the greatest power ever known. The biggest problem we face is not a lack of God’s power, it’s realizing where real power comes from. It’s not from you and it’s not from me. It’s from the Holy Spirit of God within each and every believer. Until we fully and completely accept the fact that real power comes from God and God alone, we will never really experience it. The power that we desperately desire is distinctly divine. Sometimes we get glimpses of it from a book, a sermon, or a song, but if we want to experience it every day, there is only one way. God’s Power is present in people that pursue it. 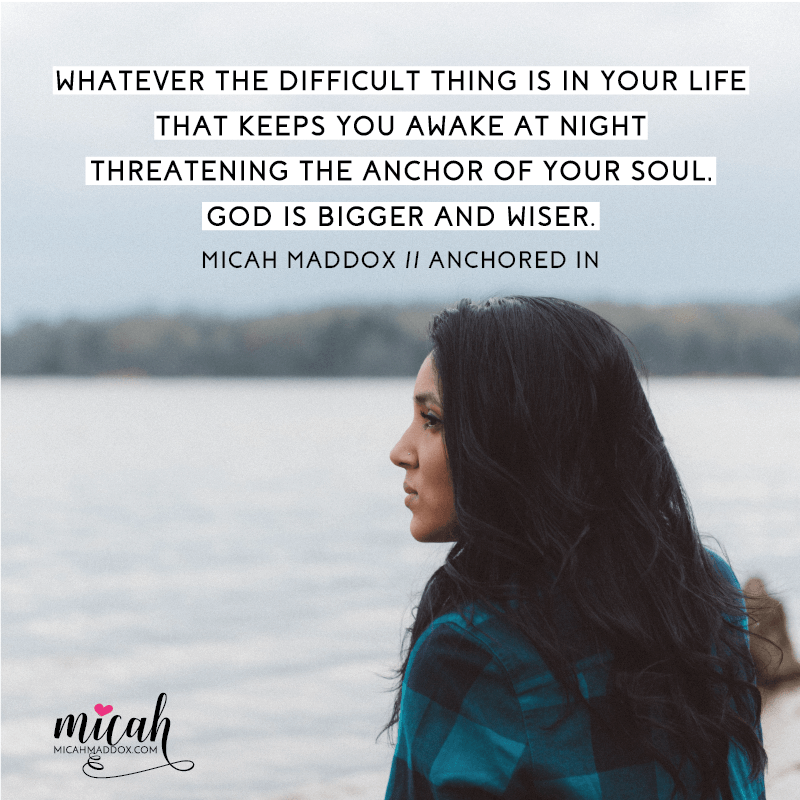 You can learn more about Micah and her new book Anchored In: Experience a Power-Full Life in a Problem-Filled World at micahmaddox.com. 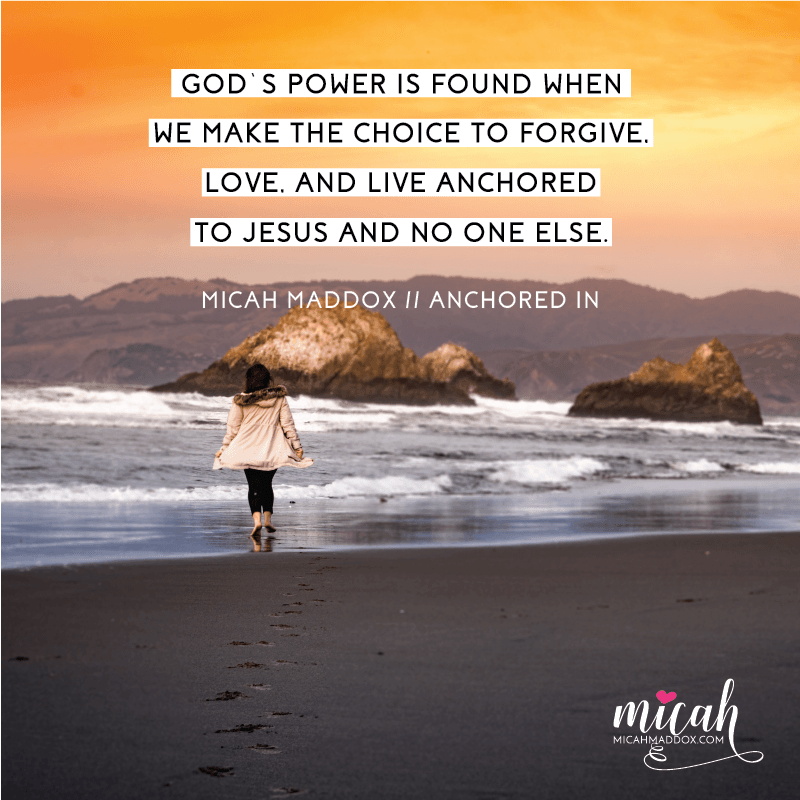 Micah Maddox is a women’s conference speaker, Bible teacher, writer, blogger, and author of Anchored In: Experience a Power-Full Life in a Problem-Filled World. She is passionate about helping women find purpose, peace, and calm in our chaotic world. 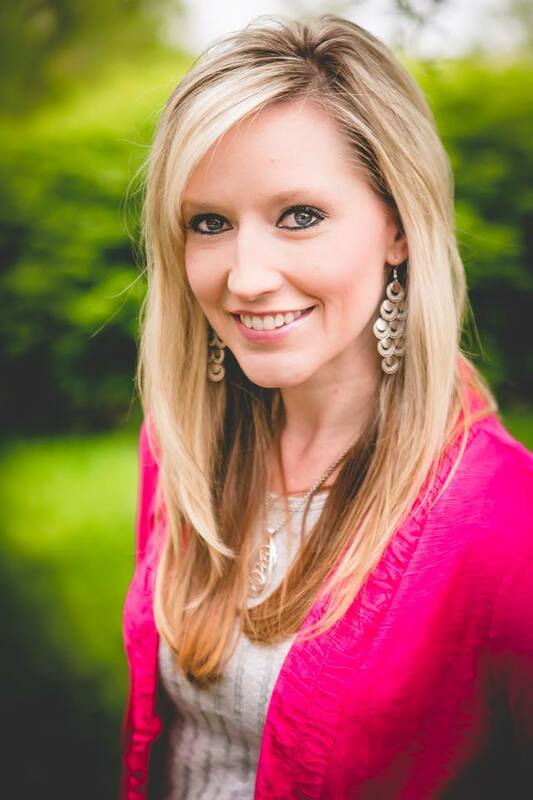 As a pastor’s wife and mother of three, she contributes her time to MOPS and her local church – including serving as a women’s ministry leader.